Just when you thought you knew everything about Twitter, someone else comes along and writes another book about this social media tool. Let’s face it – there are literally hundreds of books on Twitter. In fact, according to my count, there are more than 5,000 books on the topic alone on Amazon. And there’s so much conflicting advice about how to use Twitter. EncoreAlert, a Washington, D.C. based Twitter marketing company, argues in its Blog post “Favorites vs. Retweets (And Why One is More Important Than the Other),” that Retweeting is more important than favorites. So, why am I recommending that you read Hack the Bird: ADVANCED TWITTER PLAYBOOK: Counterintuitive Twitter Strategies and Hacks for Startups, Brands, and Entrepreneurs by Adam Khan? Because I believe his advice makes sense and clears up a lot of confusion. Mr. Khan, Head of Digital Transformation at L’Oréal, has spent more than 5,000 hours researching the psychology of engagement on Twitter. He has developed a step-by-step guide on how you can gain more followers, build your brand, and increase your credibility. But before I review his book, I have a confession to make – You see, I thought I was an expert on Twitter. I thought all you had to do was constantly Tweet my blog posts, and Retweet other people’s Tweets, and Tweet a bunch of articles I read online, and voilà, I suddenly gain thousands of followers, and my blog will be read by hundreds of new visitors every day. Wrong. That’s not the right approach at all. Then, I thought, why not buy followers? I mean we all receive promotions all the time from “experts” who claim if you give them your hard-earned money, they will dramatically increase your followers, and then you will be the way to Twitter fame and fortune. Wrong. That’s not the right approach at all (and could get you in trouble with Twitter). And finally, I thought, why not hire a social media expert to work on my Twitter account for me. After all, a woman who attended a Washington, D.C. General Assembly course “How to crush it on Twitter” (conducted by Mr. Khan), confessed that she spent $500.00 a month for someone to manage her Twitter account. Wrong. That’s not the right approach either (although I have to admit I wouldn’t mind having someone pay me $500.00 a month to manage their account). So what’s the answer? How do you gain more followers and be successful on Twitter? 1). Twitter is a quick conversation. The attention span of most Twitter users is fast. So fast, in fact, that Mr. Khan states that you only “get 10 seconds and the first four tweets” on your Timeline to convince someone to follow you. That’s it. So you have to think intelligently about what you want to Retweet, and what kind information you want to Tweet. The attention span of most Americans is shrinking. According to an Entrepreneur article by Cynthia Price, the average adult’s attention span is down to just 8 seconds. I’m not surprised. Think back to those old 1960’s TV reruns – do you notice something? The TV shows had a much slower pace back then compared to today’s fast-paced shows. People had more leisure time. They had more patience. You could actually drive home from work, eat dinner and watch the 7:00 news. These days, with longer commutes, 50 hour plus work weeks, and other demands in our lives, you are lucky to even be home by 7:00 p.m. And by the time you get home, you are usually stressed out and have little patience. We are skim readers – we skim our mobile phones, we skim our tablets, we skim our laptops or desktop computers. We skim all day. So you have to offer something that’s going to grab someone’s attention quickly. 2). It’s not always about you. One of the most important points he makes in his book is his 70-30 rule, which states that “70% of the Tweets on your Timeline should be your own and 30% should be Retweets…” Mr. Khan’s point is well taken. You don’t to be a promotion hog who only cares about himself. By Retweeting others, potential followers will begin to notice that, and hopefully they will follow you because they feel you will Retweet their material too. Thus, you gain more followers. As the old saying goes, you scratch my back and I will scratch yours. 3). An Egg Shape is not your head. We all see them. 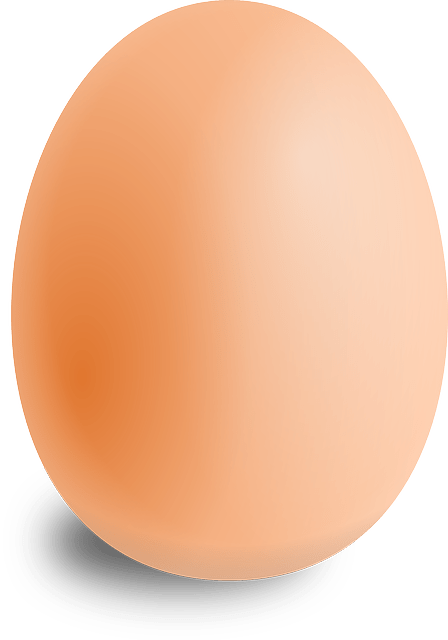 The newbies on Twitter who don’t take the time to put a photo on their profile page, so you are staring at an egg shape picture. Who is that mysterious person? Are they for real? If you want to be taken seriously on Twitter, you need to show who you are. Don’t be shy. And hey, tell us something about who you are, what you like to do, and where you are located. Sure, space is limited. Mix it up with both professional and personal information. And please, forget the hashtags in your bio – those are for amateurs. Mr. Khan offers other great advice in his 114-page book, including how to gain your first 100,000 followers, how to convert people who you want to follow, and how to Retweet yourself. This entry was posted in Book Reviews, Twitter and tagged Adam Khan, General Assembly, Twitter by DononSelling. Bookmark the permalink.